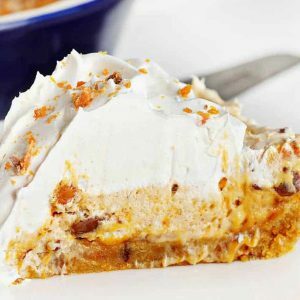 This decadent Butterfinger Pie is made with a Butterfinger cookie crust and a Butterfinger cream cheese filling. 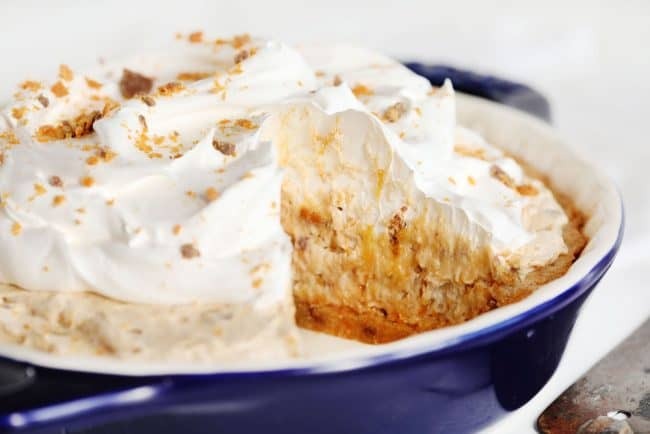 The BEST Butterfinger Pie you will ever have! 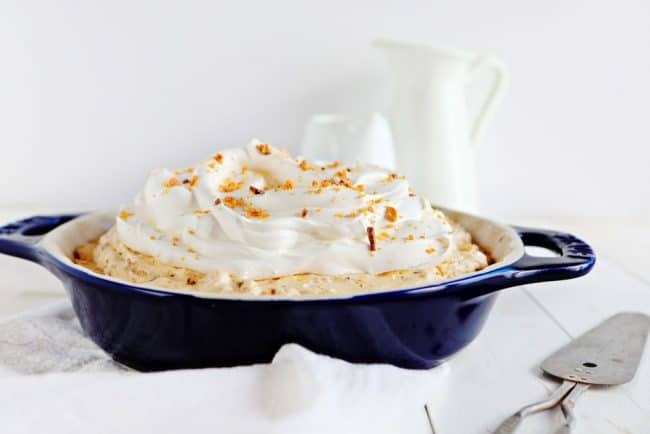 If you love pies don’t miss my Piggy Pie Dessert and Peanut Butter Pie! 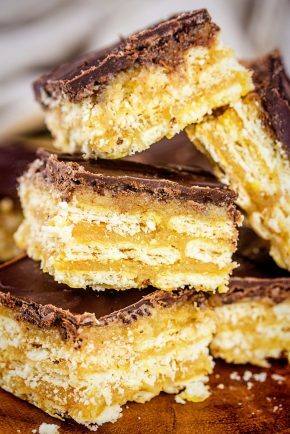 This recipe is unique in that I made a Butterfinger Cookie Crust instead of a traditional pie crust. 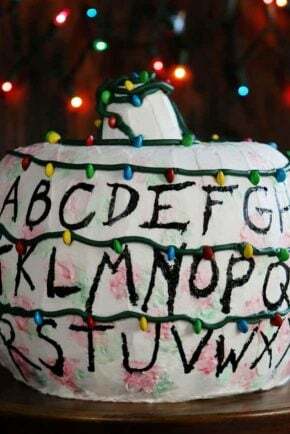 It absolutely does magical things to this pie! The rich cookie base paired with the creamy peanut butter and Butterfinger cream cheese filling is not only a flavor explosion but a food texture adventure. 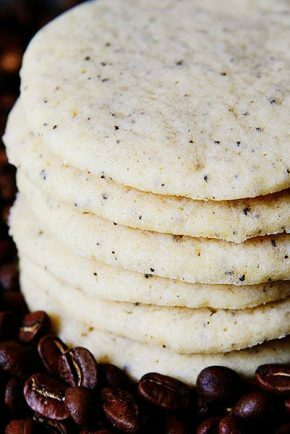 Chewy, creamy, crunchy all at once! This recipe is a small one in that it will fit in a 7-inch round pie pan. If you happen to have an 8-inch or 9-inch pan you can use those easily, just don’t put as much cookie dough up the sides of the pan. 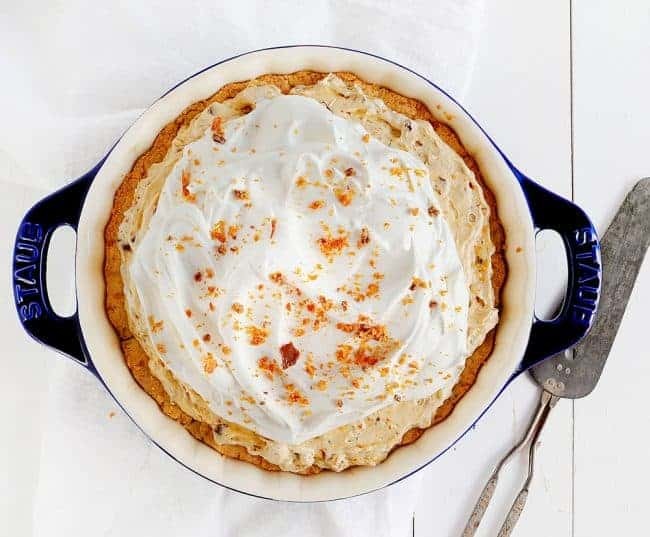 This easy Butterfinger Pie just takes a few simple ingredients to put together. First, you will prepare the cookie crust and bake it for about 10 minutes. Allow the cookie to cool and then prepare the filling. The filling is then added over the Butterfinger cookie crust and chilled for at least 1 hour. This recipe serves 8 and stays fresh in the refrigerator for about 2 days. If you would like to double the filling for a mile-high Butterfinger pie, simply use a 9-inch pan and make sure the cookie crust only covered the bottom of the pan. 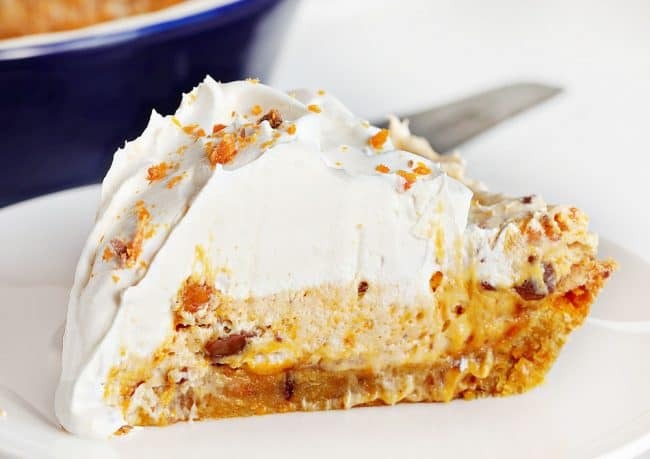 This decadent Butterfinger Pie is made with a Butterfinger cookie crust and a Butterfinger cream cheese filling. The BEST Butterfinger Pie you will ever have! In the bowl of a stand mixer with the paddle attachment, beat sugar and butter until creamy. 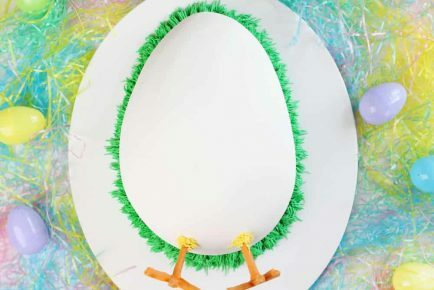 Beat in egg until just combined. With the mixer on low, gradually add in flour and salt. Stir in Butterfinger pieces by hand. The dough will be very thick. Press the mixture into a prepared pie dish. Press the mixture up the sides and make sure it is as even as possible. In the bowl of a stand mixer fitted with the paddle attachment, beat cream cheese and peanut butter with electric mixer until smooth. Stir in 1 cup roughly chopped Butterfinger. Remove bowl from mixer and carefully fold in whipped topping by hand. Spread mixture into pie crust. Optional- Cover with more whipped topping. Sprinkle remaining Butterfinger over top. The recipe states to preheat the oven to 375°, then it says to bake at 350°. Is there a reason for the difference, or is that a typo? There is no listing for sugar in the recipe for the filling but in the directions it calls for sugar to be beaten with PB and cream cheese. Help!! What do i do? Ingredients list for crust states granulated sugar. In her demo she states confectioners sugar. Always follow the written recipe. 🙂 I messed up while I was recording the video and never caught the error, so it can’t be changed. But the recipe as written is correct. I am starting on the filling of the pie and it days add sugar, But no sugaR is listed on the printed recipe for the filling. 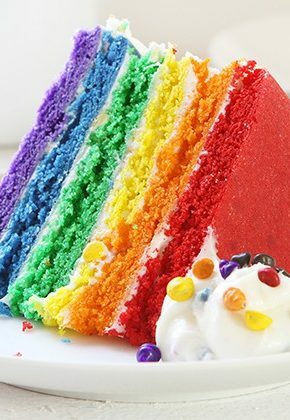 There is no added sugar in the filling. 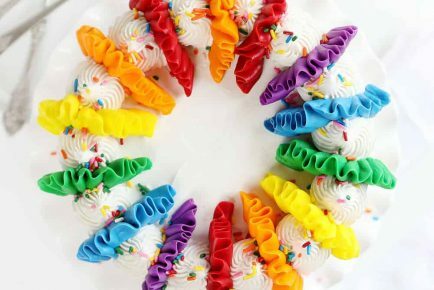 Cool whip or whipping cream? Oh Noooo! I switched granulated suagr for confectionery suger per video. How will this effect the crust?